This section comes up with another interesting factor that needs to be given proper attention before designing an e-Commerce store. 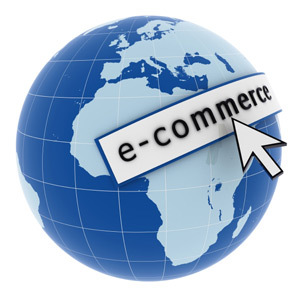 Headers in an eCommerce website plays a crucial role leading to quick sales. Header is the first thing that your visitors see when they come across your website. So, your Headers and product cover images must look professional with the use of right colors and images. Logos carry an important role, when it comes to branding. An effective logo design sets a company apart from its competitors. The logo defines brand identity, i.e it should tell customers where they are even before they read the text. For this you need to define the exact positioning as to where your logo will be placed over the header, i.e on the top left side, right or middle portion. Normally, people read from left to right, therefore situating the logo to the left of the text will surely attract visitors and persuade them to continue reading the text. A combination of search options, if placed over the header section can enhance your visitor’s interest on that particular website. With the availability of these options, customers will be able to search your products/services easily, thereby leading to increased conversion rate. Building your brand gives your site identity recognition and that is extremely important for maintaining online brand reputation. Build your brand by including your site title and sub-title in your header. When you open Walmart website, you will see Wal-Mart at the top and underneath that will say “Save Money, Live Better”. It reflects that Walmart brand is all about saving money, so they say about it on their header. Try to state that feature in your header that lets you gather a unique brand image. Do not forget to mention your Customer support options over the header page, be it via email, chat or phone number. This will help customers contact you for sale or support issues, thereby increasing customer retention. The presence of social media Login options over the header portion increases chances of driving more new followers to your business. However, it is always advised to have small size social media icons in the header portion. The header section of your website must provide simple and short text that indicates why visitors should shop from your store. Some of them which can be included are, free shipping, easy and quick exchange policies, low price guarantees and many more. This will ultimately lead to reduced cart abandonment rate and allow visitors to shop from your store with complete satisfaction. All in all creating a dynamic Header to promote your web services is equally important for your marketing campaign. With a little creativity and by following the above mentioned key points, you will be able to create stunning web page headers, as fast as you have never thought of before.